Saving water needs to be on top of the list of any firm’s list of sustainability initiatives. Not only are there shortages of fresh water in the world today, but the costs of delivering water and the associated costs of treating liquid sanitary waste have become a serious bottom line factor for property owners everywhere. We researched the marketplace for top of the line new lower flow water fixtures and devices, and embarked upon a project to retrofit 100% of our portfolio in order to save water and money. In one of our buildings, with 49 apartments, the retrofit cost was less than $17,000, compared to an approximate water and sewer savings of $23,000. 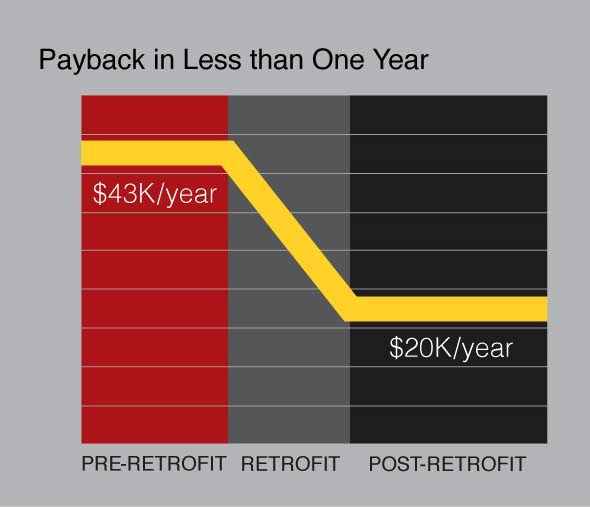 Accounting for all costs in this retrofit initiative, the net result is that we are experiencing actual paybacks of less than one year. In addition to the lowered water bills, we are seeing additional savings from lower energy bills (since hot water consumption is also being reduced), and less wear and tear on heating equipment, pumps, and pipes.